US Appliance, online since 1999, has the largest selection of appliances, TVs and electronics from the top brands at the best prices. We carry refrigerators, ranges, dishwashers, microwaves, HDTVs, vacuum cleaners, cooktops, washers, dryers and more. Some of our top brands include GE, Samsung, Frigidaire, Amana, Bosch, Electrolux, LG, Maytag, Fisher & Paykel and more. We have an experienced and factory-trained staff ready to answer any of your questions and help choose the right appliances for you. Find reviews and all the features and specifications you need to make the right choice. 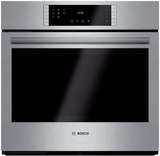 Find some of our most popular appliance category searches in one place.